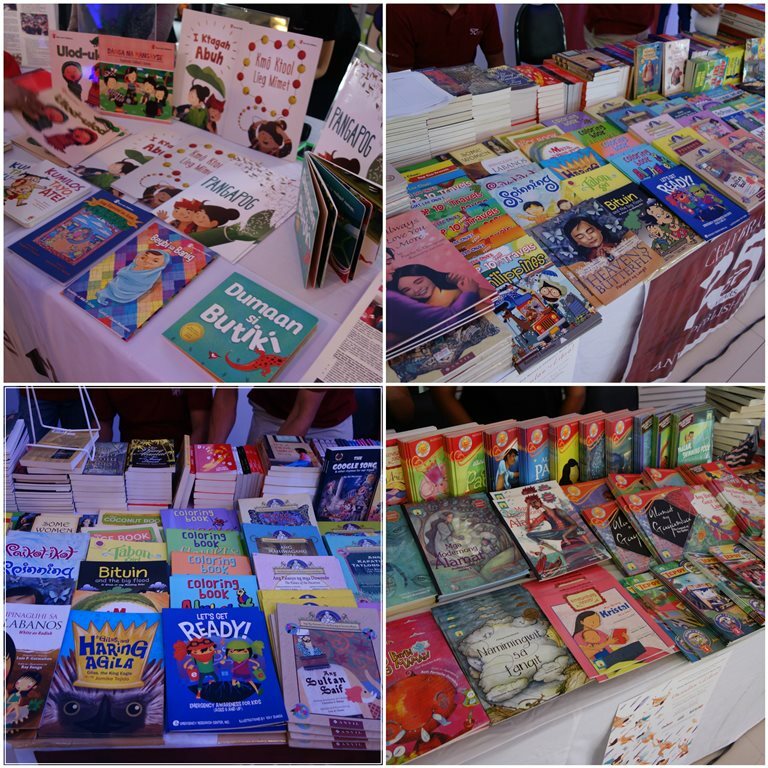 A funny memory came to me as I stepped into the Philippine Children’s Book Summit last July 21: Remember those people from publishing houses that visit schools and give out checklists? When I was in Grade 1, still learning to read-slash-still learning my ABCs (haha), I bought my first book through them: Mga Kuwentong Kagiliw-giliw, a collection of Filipino short stories. But growing up, buying books wasn’t really a priority. So arriving at the Book Summit, I was a little hesitant – and also, maybe a little intimidated. There were lots of people – authors, educators, librarians, students – who seemed like they were into books since forever and I was there as a discoverer. So before the Summit proper started, I went around and checked out the booths around the venue. I saw familiar titles from my childhood, and a lot of new ones, which sparked my interest. It brought back the child inside of me. At the Summit, there were parallel sessions and the first one I attended was “Why Adults Should Read Children’s Books.” I listened to Dr. Anna Katrina Gutierrez, Blooey Singson and MJ Cagumbay Tumamac talk about how children’s books are not just for children. In “Children’s Books in Mother Tongue: Publication and Translation,” the importance of culturally-rooted stories, regional literature, folklore and local myths was the focus. I was really into the discussions of Christine Bellen, Kristian Cordero, Cles Rambaud and M.J. Cagumbay Tumamac. I shared their sentiments about introducing local literature at a young age so that children will grow appreciating their own language and culture. There shouldn’t be a hierarchy in literature and instead, there must be equal promotion and appreciation for foreign and local literature. Reading culturally-based literature helps develop a deeper sense of history and togetherness therefore, children must be encouraged to do so. I was also fascinated by the timely “Going Global through Digital Publishing” session. I listened to Agno Almario, Ariel Lim and Honey de Peralta talk about a more exciting, interactive way of storytelling. Some of the takeaways of this session were: 1) the emergence of new media and platforms, like ebooks and mobile apps, which widens the access to reading materials that people consume; 2) the role of technology that makes the consumption easier (I-on mo lang ang tablet mo and you have a book to read, whether you’re in the car, or the MRT or somewhere else. Having the digital option creates a freer and faster exchange and transfer of ideas. ); and 3) the democratization of publishing through the Internet, such as in blogs and on Wattpad. In this country, it’s not common for us to visit libraries on our free time or holidays (and instead we go to malls.) One, it may be because people don’t know where the libraries are—or worse, there are none—and two, even if they do know, they’re not excited by them because they lack the facility and collection. I recently donated books to the Quezon City Public Library for the first time and found that the process was fairly easy—bring the books, fill out a form and the Library will take care of them according to their terms and conditions. I didn’t know it was that simple to share books! Speaking of sharing books, I was happy to hear about initiatives, government-led and private-led, pushing for investment in reading. For instance, the Museo Pambata Mobile Library, a program mobilizing volunteers to be roving storytellers for the less fortunate, and the Library Renewal Partnership, which advocates for access to public libraries across the Philippines, are only two among the many. 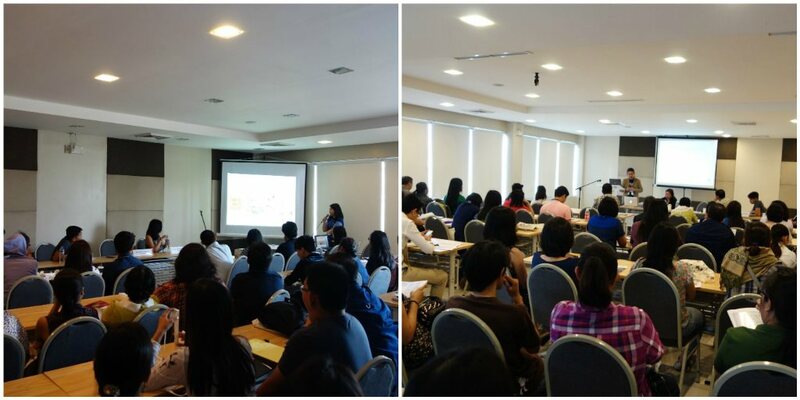 Other sessions held were on the exploration of verse in children’s literature by Mariko Nagai and the magic of picture books in encouraging creativity and imagination among children by Wen Dee Tan. In the afternoon, winners to the 2015 Philippine Board on Books for Young People Salanga Prize and 2015 PBBY Alcala Prize were also announced. Special thanks to the Philippine Board on Books for Young People and all its partner organizations.